Well I know this is quite last moment, but if you don't have plans for next weekend, come join us for the Gigathlon running training camp! We will be staying in the Nymburk sports center that is used by many elite Czech athletes for their training camps and we will attend together the Run Tour final race at Ladronky in Prague (5 km or 10 km). The topic of the camp is race day preparation, tuning up your pre-race routine and many more. Check out the full information at the official Gigathlon website. Long story short, if you want to book or more details, you can also pop an email to info@gigathlon.cz. They say autumn is just around the corner right? Well, judging on the amount of pumpkin eaten in the last week, it certainly is! 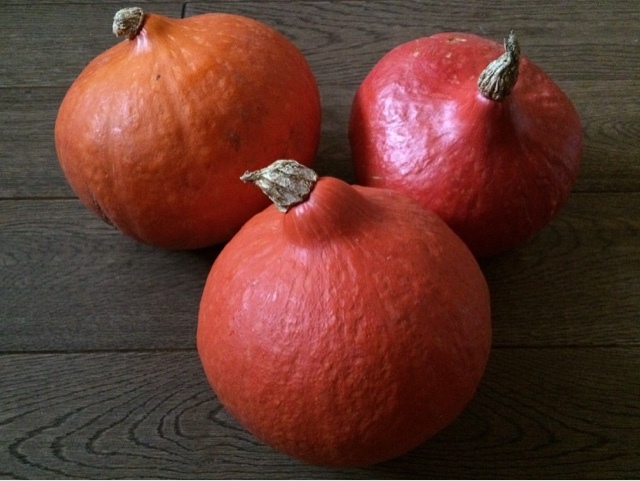 :) I couldn't resist very advantageous price of Hokkaido pumpkin at Rohlik.cz, so I ordered a few (about 8) of them :D And started Googling about how to make use of my great purchase long term. 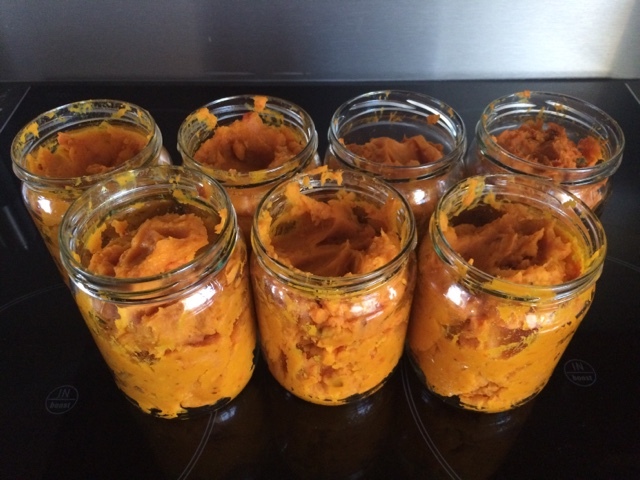 Luckily, I stumbled upon this DIY recipe for pumpkin purée and how to keep it (just freeze it!). Why particularly this type of pumpkin? Hokkaido has the highest protein content out of all pumpkins = it's ideal for active people who want to pump up their protein intake and ain't that much into eating tons of meat or eggs etc. So great vegetable source of protein as surprisingly it has 1:1 protein to carbs ratio! 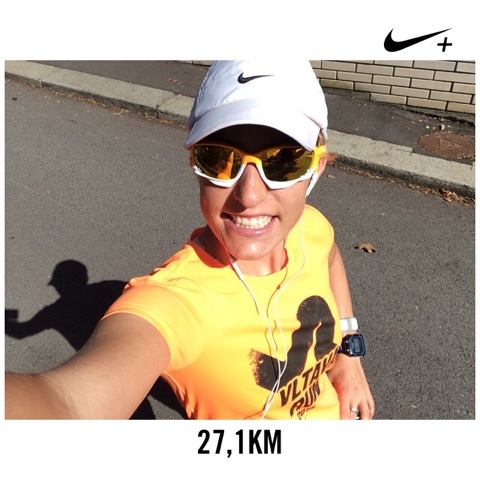 Saturday was orange day ... ran in my orange Vltava Run t-shirt and my beloved orange Oakley Jawbone sunglasses. 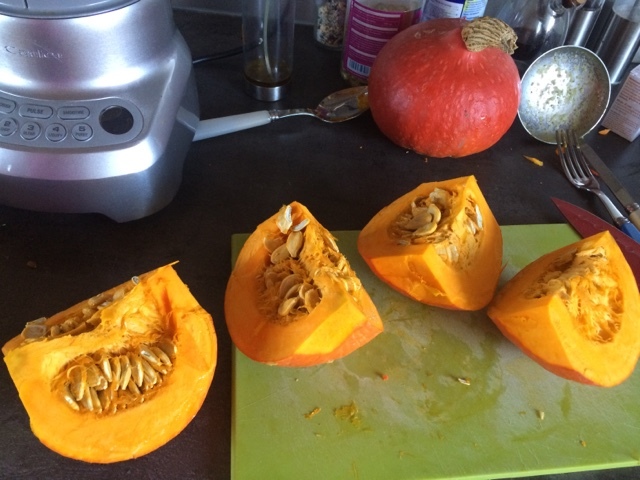 Marathon prep is going on, so easy 27 km with runny nose :D And then lot of time in the kitchen having fun with pumpkins! 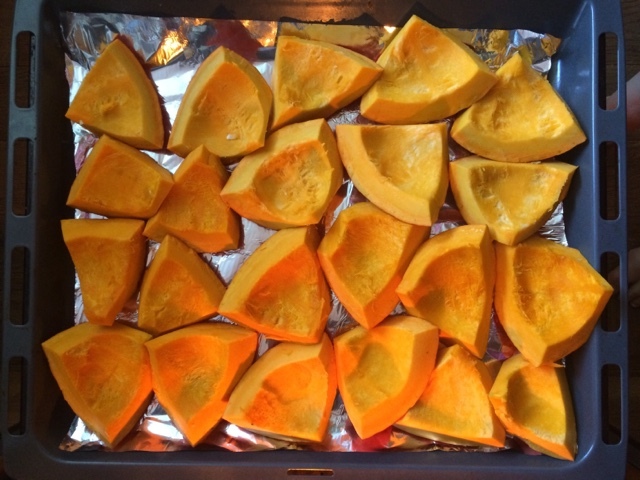 Wash and cut up your pumpkins and scoop out the seeds with a spoon. 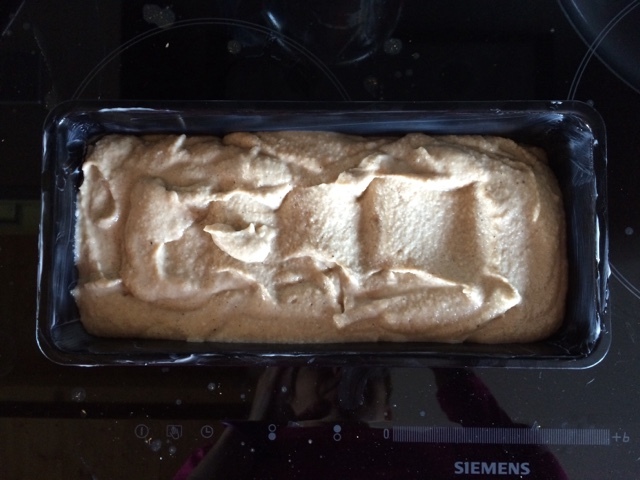 lined up with baking paper / aluminium wrapper. 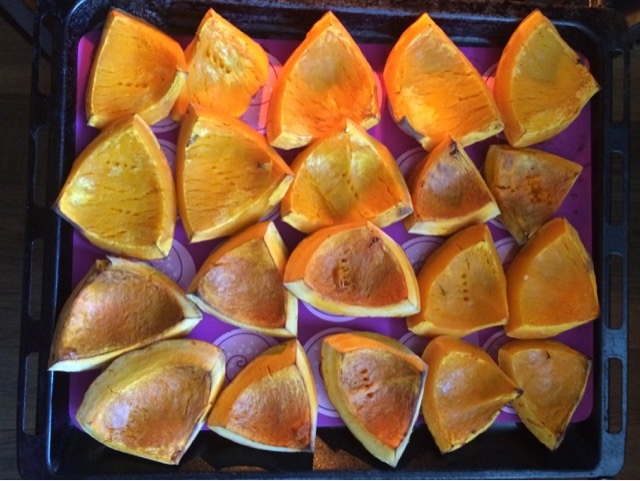 If you want the purée extra smooth, scoop the meat out of the skin, but hokkaido pumpkin has skin that softens when roasting / baking / grilling, so you can also leave it on (that's why you needed to wash the pumpkin properly). 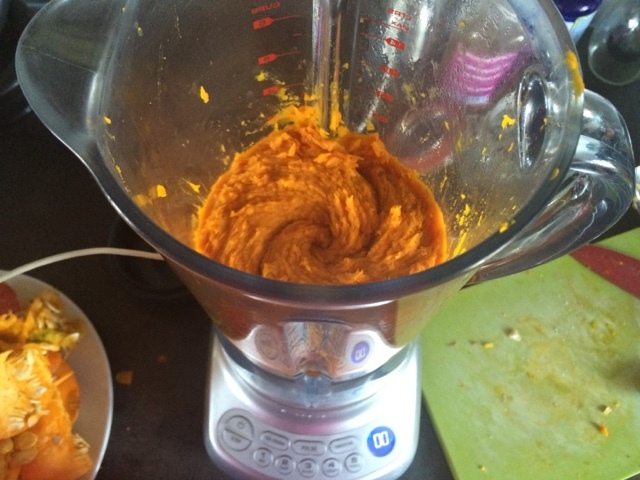 And process in food processor / vita mix or whatever you have available. You will probably need to do this in batches if you have bigger quantity as I had. 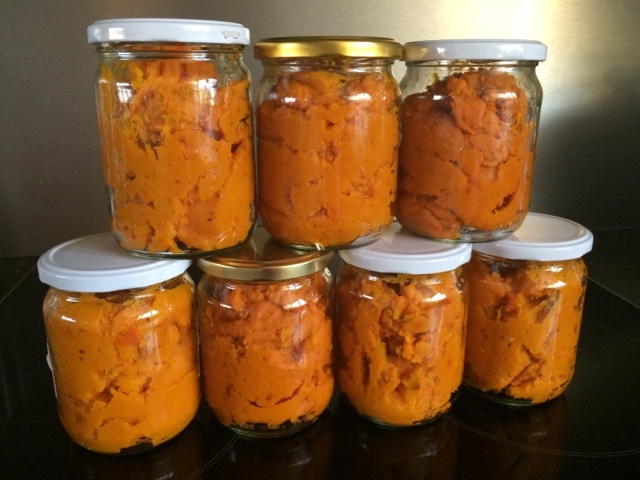 I am leaving just a little bit of extra space so the jars don't explode in the freezer. 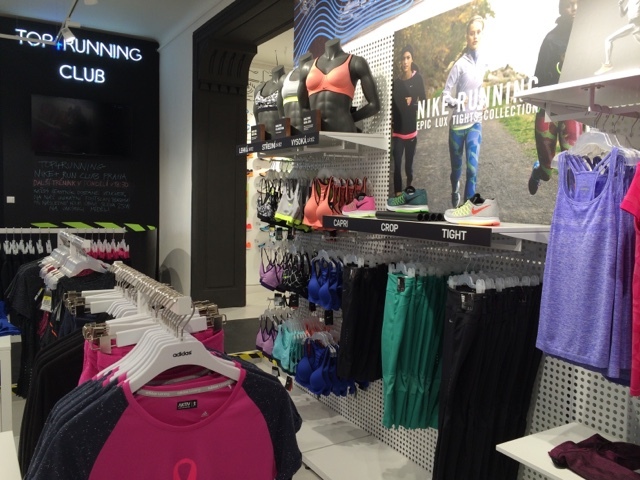 While I missed the grand opening of newest running store in Prague - Top 4 Running, I certainly couldn't pass on visiting the store! 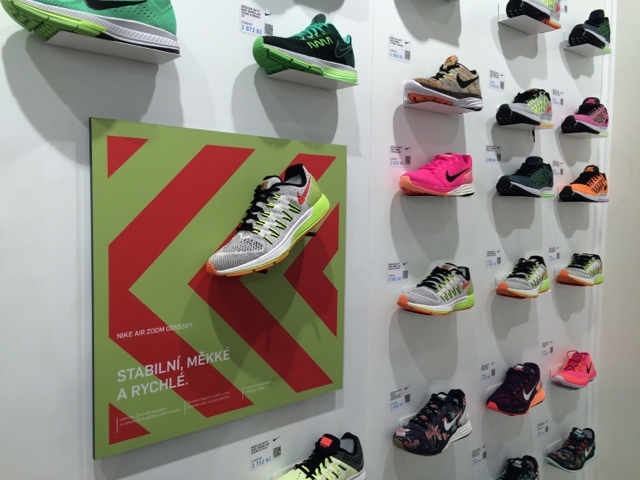 :D Great advantage is that they have very wide choice of running only collections of the big brands - Nike, & Asics. So anyone can choose! What is more, they have the latest and most advanced technology to analyze your foot strike and help you choose the right shoe for you. What is more, the girl helping me with my choice was track & field athlete (I think 400 m, 800 m & long jump?? ?, sorry if I am wrong), so she really knew what she was talking about. 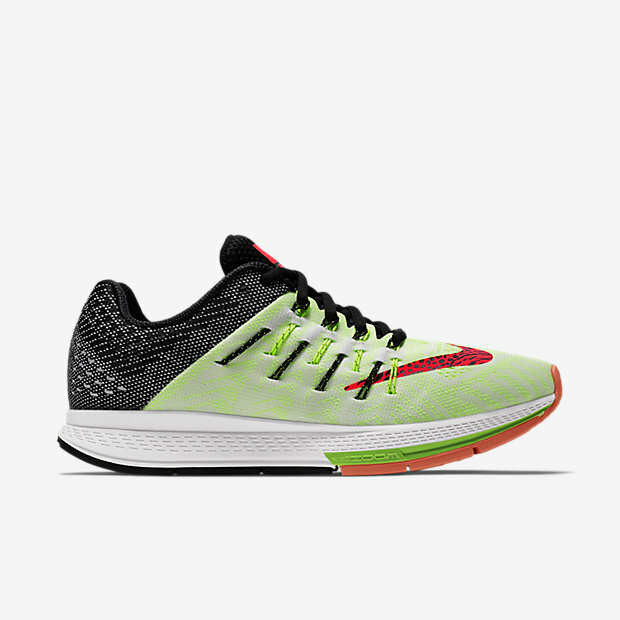 Also they are one of the few places that do have pretty interesting selection of racing shoes that you cannot get in the "normal" Nike / adidas / Asics stores around Prague. I hesitated between the new Nike Air Zoom Odyssey, Nike Air Zoom Elite 8 and my traditional volume go to shoe Nike Air Zoom Pegasus 32 :D I really wanted to try the Nike Air Zoom Odyssey, but the shoe felt little too wide overall, Pegasus would be tradition for me, but I just got one (in really cute grey color, pretty elegant! 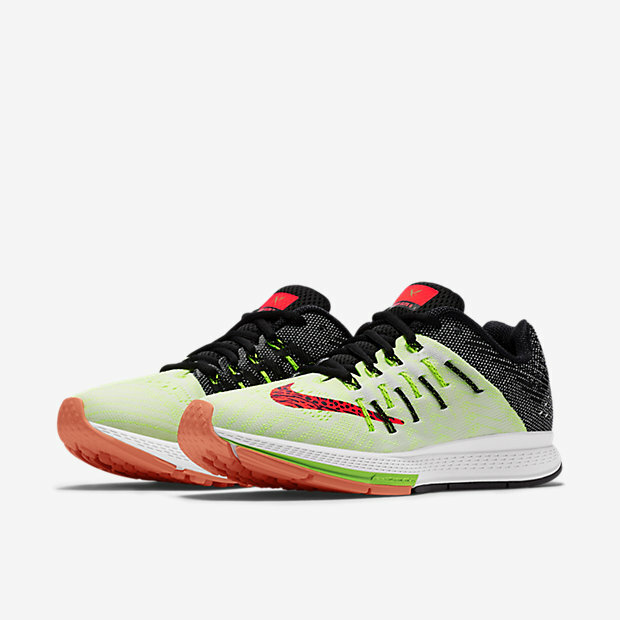 ), so I went with the Nike Air Zoom Elite 8 finally. As described bellow, I try to keep variety among models, so I prevent overuse and injuries. 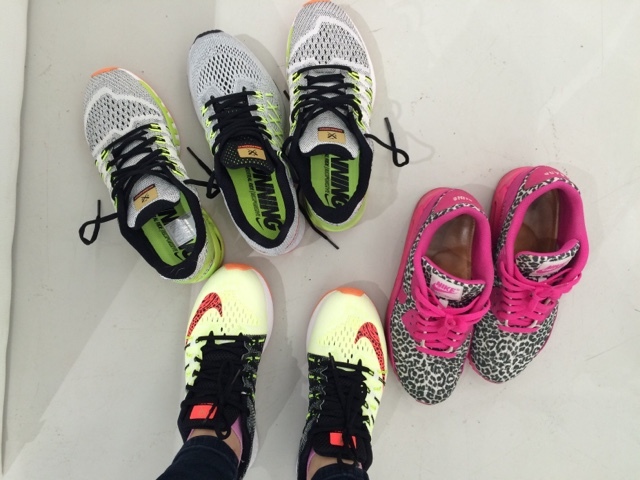 Choosing your right running shoe? 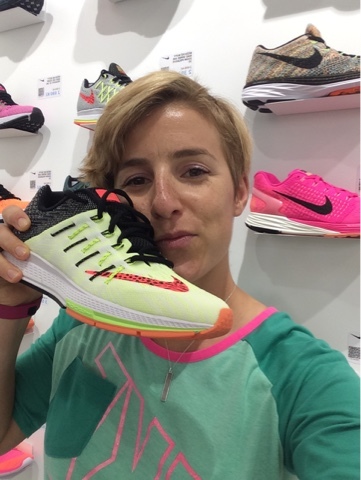 There is no one perfect running shoe brand for everyone, our feet and needs are different, we are individuals. You have to love the feel of the shoe from the first moment, no big breaking in for running shoes. Your running shoe should feel half size bigger compared to "normal" shoes - especially when you run half marathons, marathons or ultras, your feet will naturally get little swollen over the distance, so this will prevent many blisters and toenails falling off. If you can afford it, build up to 2-3 different pairs of running shoes - this is great tip for injury prevention. 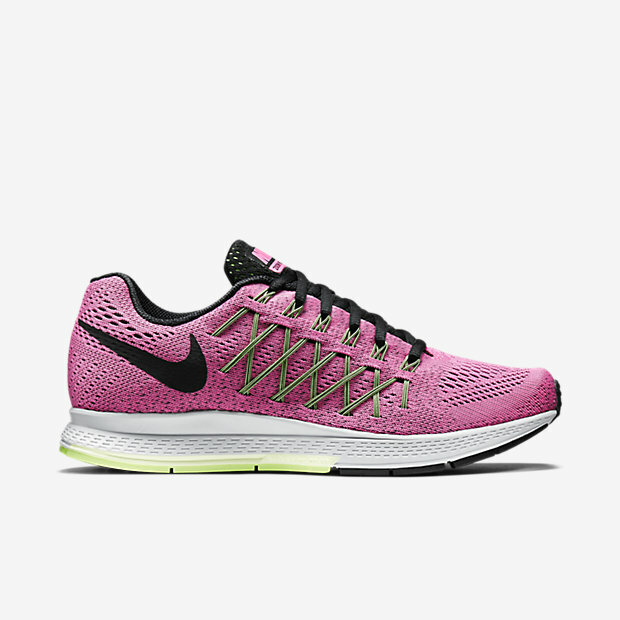 I know, that Nike Lunar Glides and Pegasus are great for me for volume training, yet I bought another different type. If you switch among 2-3 pairs, the shoes will last you longer and you will employ slightly different muscles = injury prevention. You don't need to buy 3 pairs at once, just don't wait for the next pair until the current one is totally destroyed. 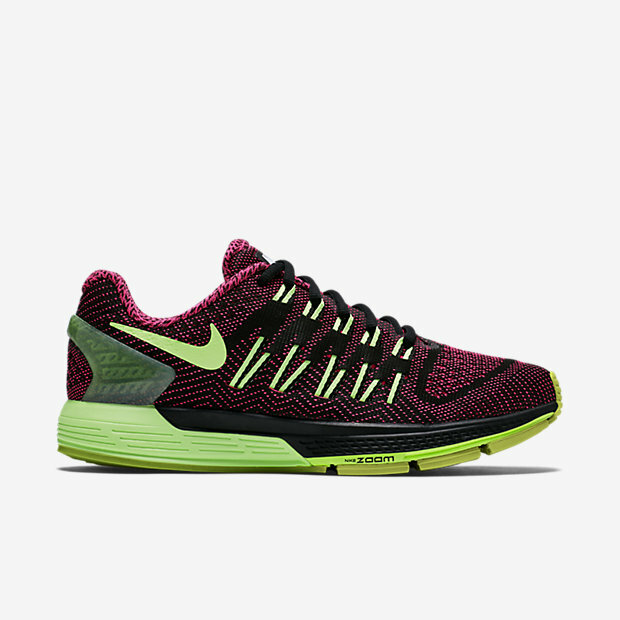 Casually look for special offers, you can save some money when you don't "need" to buy the shoes immediately. Taking little bit of mental and physical relax this Sunday. 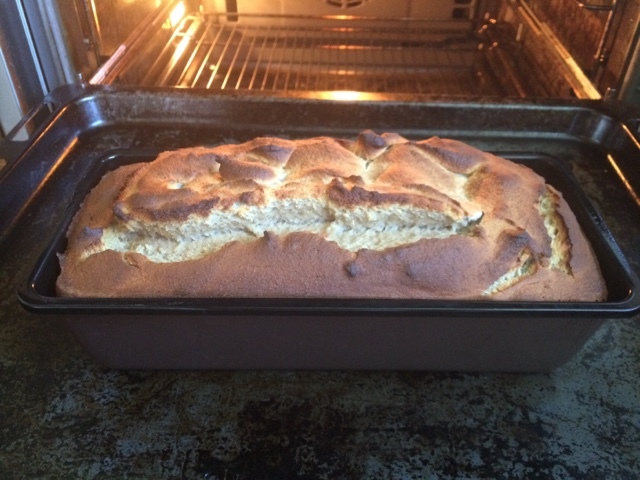 Easy shakeout 5 mile run (8 km) in the morning followed by fun in the kitchen. 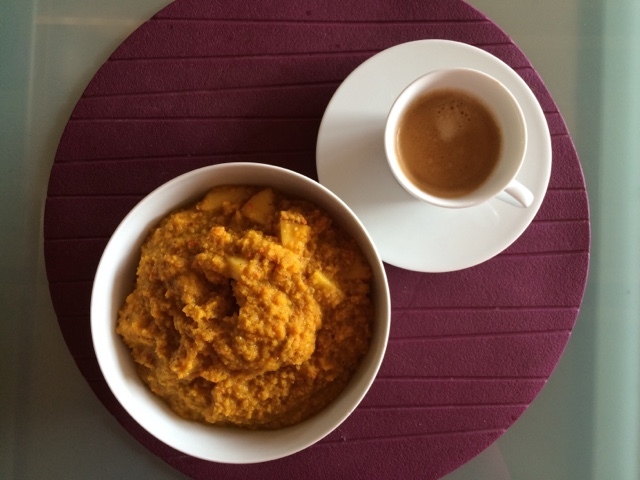 First I cut up the pumpkin in pieces (without peeling it, only washed) and put it together with the coconut milk in my Catler mixer to create the puree. Then put it on the stove for some time to warm up and soften a little, add coconut butter, cinnamon and pinch of salt, finally added the cut up peach, just to make it warm but not cooked. I have been lot into warm breakfast "porridges" with different ingredients lately. It should help balancing out and giving me strength for the whole day according to the Traditional Chinese Medicine and I have to say I really like how I feel after. For the recipe options, I used coconut oil not grass fed butter and also coconut butter not nut butters. 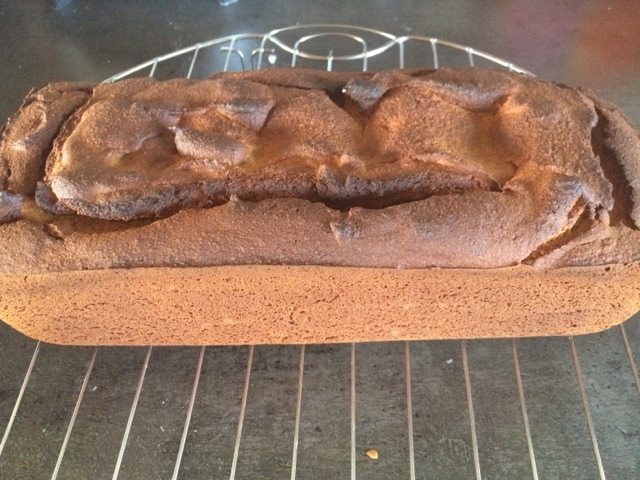 But this was only due to availability of what I currently had in my kitchen :) Came out just perfect, smooth texture, not too dry.